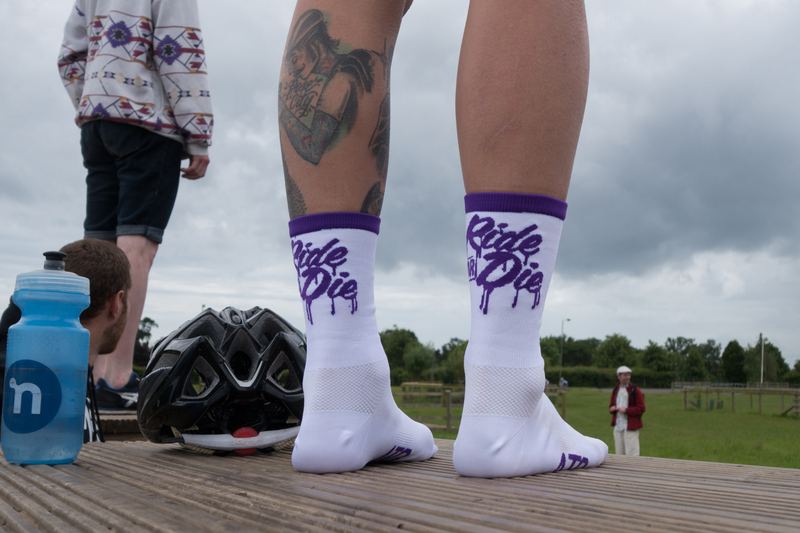 British Cycling, and some of the clubs down here in the South West are making a real effort to encourage cycle sport amongst women, which is is something I’m wholeheartedly behind. So often, women’s races are either an add on, or forgotten about all together, so I was really excited about today’s women’s road races at Westpoint. 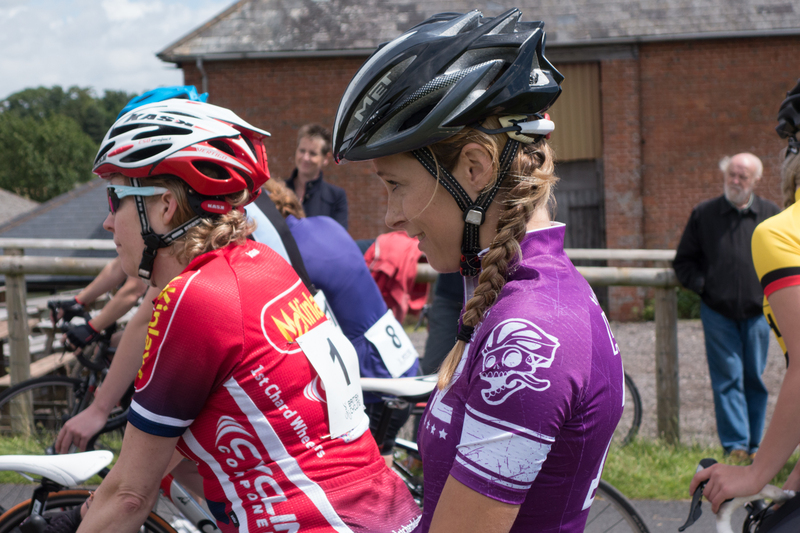 The South West women’s stage race saw about 25 ladies riding throughout the morning and competing in a points race, scratch race, and erm… some other kind of race. 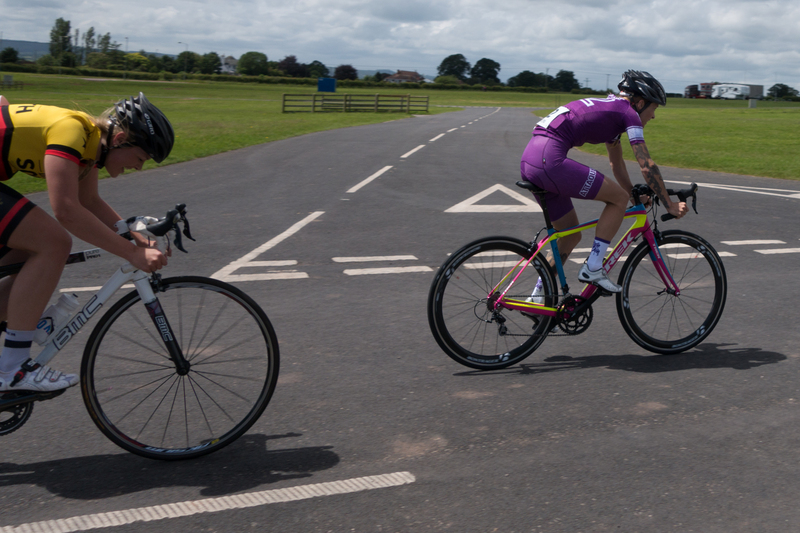 Seeing as I don’t have a race license and have only done one road race in my life, I entered the novice’s Go-Ride category, which was designed as a taster for those interested in trying road racing. Around twelve of us lined up at the start whilst the commissaire and organiser talked us through the race. We were advised to ride as a group for around the first 15 minutes, the idea being that we’d all have the opportunity to try out riding as a pack, taking turns in the lead and getting used to cornering close to other riders. 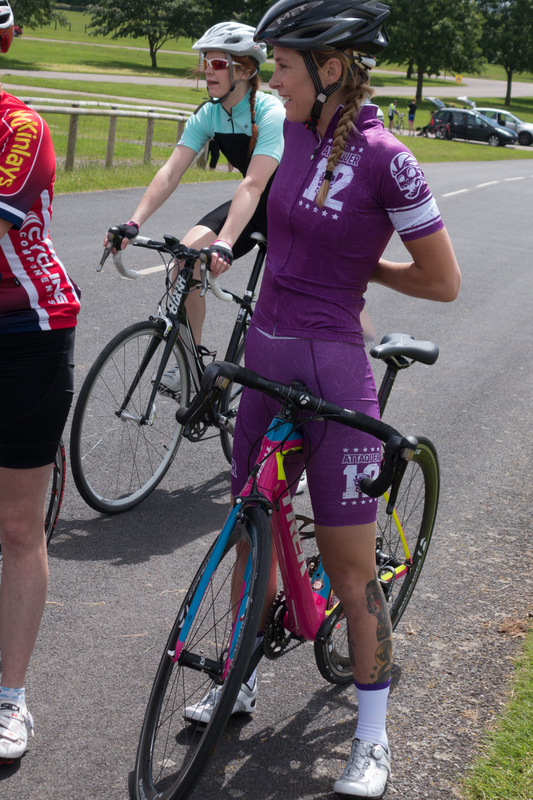 I’ve raced before – I’ve done two track bike crits, two cyclocross races, a mountain bike race, and as I mentioned before, one road race, so even though I’m not really that fit, I kinda know how it works, and also, I’m fairly confident I guess. So it was nice to be able to help people out in the race, and encourage some of the less sure riders to have a go at the front, and get used to leading and changing etc. I hope everyone enjoyed the race as much as I did, because I’d love a bigger pack of competitors to ride events with. There are usually enough newbie male racers for organisers to run separate races, whereas with few women racing, we all have to race together (elite and novice) and many (like myself!) aren’t exactly encouraged by that. So hopefully some of these women might want to make the switch to the other races now, and we can all ride in our own bunch. After 15 minutes it was game on, and with ‘practising’ over we were all free to ride and race as we pleased. In the end, myself and Hannah battled it out for first place, and I was stoked to take the win. Although I guess that now means that I need to man up, get a license and get my arse kicked by the faster ladies in the point scoring races. I’d really love to, but I’m too lazy to train. Ho hum, we’ll see. Up Next. I’m a winner, a winner, I bloody won a Trek Project One Bike!